Friday night comes and families are ready to unwind after a long week of work or running the kids to and from one activity or another. Many families choose to unwind with family movie night. My own family is known to enjoy a good movie, especially if it is one based off of a book we’ve recently read. However, something we enjoy even more is family game night. There was a time, before television, computers, and interactive phones, when families and neighbors used to sit around in the evenings playing cards or games. They would play and talk with one another, connecting after a long day or week, sharing news, discussing viewpoints, and relaxing. My husband has fond memories of playing cards when his grandparents would visit, and I enjoyed playing chess with the older gentlemen in chess club. You can learn a lot about others while enjoying a game together. So when our children were born, I looked forward to playing games as a family. The reality was, I hated it. I found myself wanting to hit my head against a proverbial wall. A friend with older kids assured me that it would get better. Age four, she said, was a magical age for her children, when they could suddenly make it through a game. When our oldest turned four, games did suddenly get better. However, I can’t say for certain it was the age. Around that same time, we gave up on games like Candy Land and Shoots and Ladders. I hated those games as a kid and they weren’t any better now that I was an adult. Instead, we started looking for games that we enjoyed. Today, with children ages 8, 6, 3 1/2, and 1, we often sit around playing board games – the kind of games one might find in serious board gaming clubs. Sometimes we need to alter rules to accommodate younger players or team up to help play, but we always have a good time. It’s a fun time to reconnect for us. we’ve had some amazing conversations during an afternoon of board games. Check out Board Game Geek for reviews of various board games. Look for brands such as Rio Grande Games, Days of Wonder, and Mayfair Games. Search websites such as Thought Hammer, Time Well Spent, Fair Play Games, Fun Again Games, and Boards and Bits for deals on some of the best games. 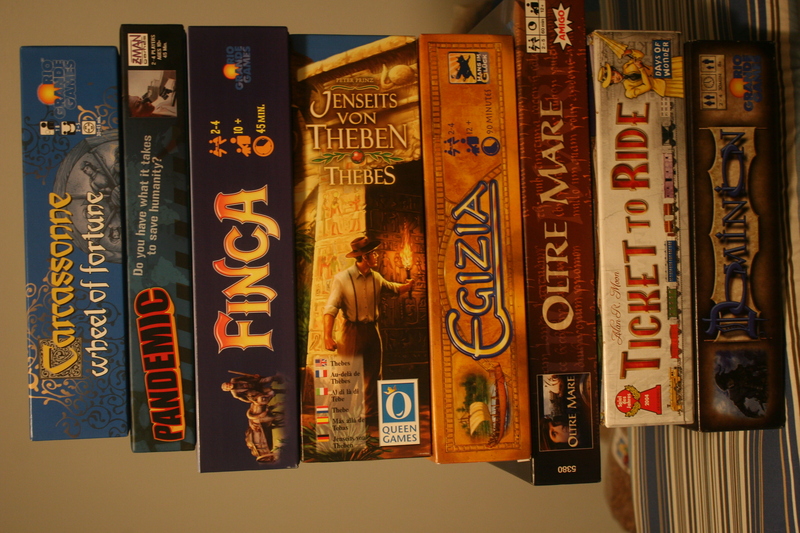 Some of our favorite games include A Ticket to Ride, Finca, Dominion, Carcassone, Oltre Mare, Citadels, and more. I really like this post. Its a reminder of my childhood as well. I think this is VERY important. 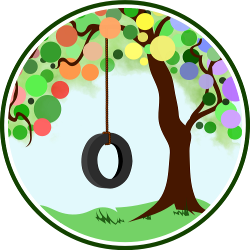 Helps families grow together. In my house we don’t even have TV right now because it can be a distraction for us. Family time is always a must!